Are you battling infertility or trying to conceive and still drinking coffee? If so, it’s time to consider weaning yourself from caffeine. Try a tasty herbal coffee alternative made from health-promoting herbs and foods because there is simply no sugar coating that caffeine is an antifertility food! In an effort to help you find a coffee alternative, I took on the challenge of brewing and sampling three of the more popular herbal coffee alternatives on the market. I have to say, it was a very fun challenge! My thoughts: If you’re used to grocery store coffee, you’d never know you switched to Dandy Blend. It’s just that good! I didn’t expect it to be instant, powdered granules, so that was a pleasant surprise. I simply boiled water, added Dandy Blend, stirred and enjoyed. It smells and tastes like a light roast coffee and is not bitter. Teeccino boasts offering a “natural energy boost from nutrients”. Teeccino is gluten and caffeine free, non-acidic, provides antioxidants, potassium and contains prebiotic inulin – an important fuel for healthy gut bacteria. The main contents of Teeccino are carob pods, barley, and chicory root. Other ingredients may be dates, figs, almonds, spices, dandelion root and ramon seeds (depending on the blend or flavor – there are many). My thoughts: Two teaspoons steeped in 1 cup of freshly boiled water in a French Press for much longer than the suggested 3-4 minutes resulted in a very mild, not bitter, yet slightly dry and sweet, dark brew. To me Teeccino looks just like a dark roast coffee. While its taste was pleasant, it did not resemble true coffee as much as both Dandy Blend and Reishi Roast did. Reishi Roast is a blend of organic Reishi mushroom – known to be a tonic, anti-inflammatory mushroom, filled with antioxidants – with chaga mushrooms, roasted chicory and dandelion root, milky oat strobiles (part of the plant that produces the seed), mesquite pods, raw cacao, cinnamon bark, milk thistle (all organic), and Himalayan pink salt. My thoughts: Steeped for 10-12 minutes in 8 ounces of freshly boiled water, the resultant brew is dark and smells woodsy, faintly of mesquite. I taste the dandelion root most. The pleasant, almost sweet, flavor has a hint of a bitter aftertaste, truly just a hint. Steeped for much longer than instructed, may result in a slightly more bitter, stronger brew. It’s my favorite with full-fat coconut cream (about a tablespoon). The makers share that, “Reishi Roast nourishes your nervous system, balances energy, and supports your adrenals, immune system and detoxification.” Fertility health benefits galore! -or- one packet Dandy Blend dissolved in 4-8 ounces of freshly boiled water. Heat Fertilica Maca Powder in the coconut milk just until steam is visible. Pour into your favorite mug and add 4 ounces warm Reishi Roast. Stir in 1 tsp. Active Bee Power Royal Jelly or raw honey to taste if desired. While you are weaning off of coffee, one tip is to first switch from full-caffeine coffee to 1/2 caffeine for 1-2 weeks. Then, transition yourself to decaf (organic or Swiss water process are best) for 1-2 more weeks. The next step may be to make a 1/2 decaf, 1/2 herbal “coffee” to transition your taste buds (if need be) for another week or so, and by the end of 1-2 months you’ll have weaned yourself from caffeine completely, as opposed to going cold turkey which can be much harder. We have over the years received questions about the safety of consuming Chicory as a coffee substitute when trying to conceive and in pregnancy. There are websites that say Chicory can negatively impact the menstrual cycle, cause uterine contractions and miscarriage, and that it is contraindicated in pregnancy. The reason you will read that it is not suggested in pregnancy is because it has not been studied. We don’t know the amounts one would need to consume to cause an adverse effect, if any at all. No one is willing to test pregnant women to learn this… thank goodness! We have not read any reports of ill effects on a developing baby from a mother consuming chicory in pregnancy, when consumed in moderation as suggested by the makers of the coffee substitute chosen. We support the use of the coffee substitutes that contain Chicory root for pre-conception and into pregnancy. There is so much information out there about what pregnant women should and should not consume that it is best to continue to do your research looking for proven data and make choices that feel right for you in your pregnancy. Everything in moderation is a great rule to live by! American Botanical Safety Handbook – Chicory Classification: Safety Class 1A – there are no known contraindications, precautions or drug and supplement interactions. Allergic skin reactions may result upon contact of the fresh plant (unroasted). Gardner, Z., & McGuffin, M. (Eds.). (2013). American Herbal Products Association’s botanical safety handbook (2nd ed., pp. 206-207). Boca Raton, Florida: American Herbal Products Association, CRC Press. I was about to buy a bunch of teecino tea but then read that chicory root can cause miscarriage and should not be taken when trying to get pregnant. Can you clarify? I cover the topic of the safety of Chicory root above in this very guide, under the heading Safety of Chicory When TTC and In Pregnancy. I hope that is helpful! Hi. I just like to know where can I get those coffee? If you search the internet/web for each of them, there are likely to be many retailers. I ordered mine from each of the products makers directly. This is a great reminder for me to steer clear of coffee. I’ve been drinking JNANTIK lately, have you heard of it? I’m surprised and kinda happy it wasn’t on your list. It feels good to be able to give something back – to maybe share something new. 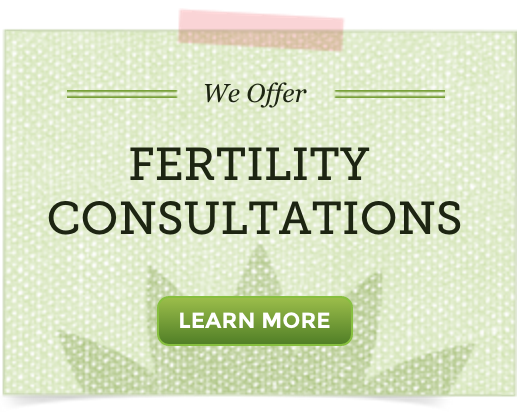 I feel like I get so much valuable information from all of you at Natural Fertility Info. So THANK YOU! I have not heard of JNANTIK, but will have to take a look at it. I drink green tea every morning Mon- Fri. Is that too much caffeine? It may be if you are battling infertility or a struggling to conceive naturally. I am personally an avid green tea drinker and struggle with suggesting it be stopped, but studies have linked green to causing the body less able to properly absorb folic acid. I share more info. here as well: Green Tea – Do I Really Have to Avoid it in Pregnancy?. I hope this helps you choose whether to cut back or not with ease. I drink 1 cup of organic coffee a day. Is this too much? Anything over 1 cup a day is considered too much. Thanks for asking. Teechino has carob for its main ingredient, which contains EGCG, the same antioxidant as Matcha green tea!